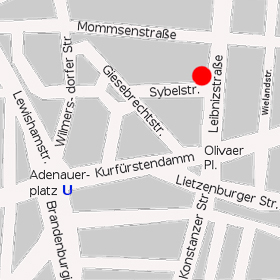 Our office is situated in the city west of Berlin near the Kurfürstendamm. A car park is vis-à-vis of our office. The traveling time from the airport Tegel (TXL) is 15 min, from the airport Schöenfeld (SXF) 20 min, from the main railway station "Hauptbahnhof" 15 min. Klick the button or scan the qr-code in order to download the vCard. Use the link belpow and replace "TXL" by your starting point.